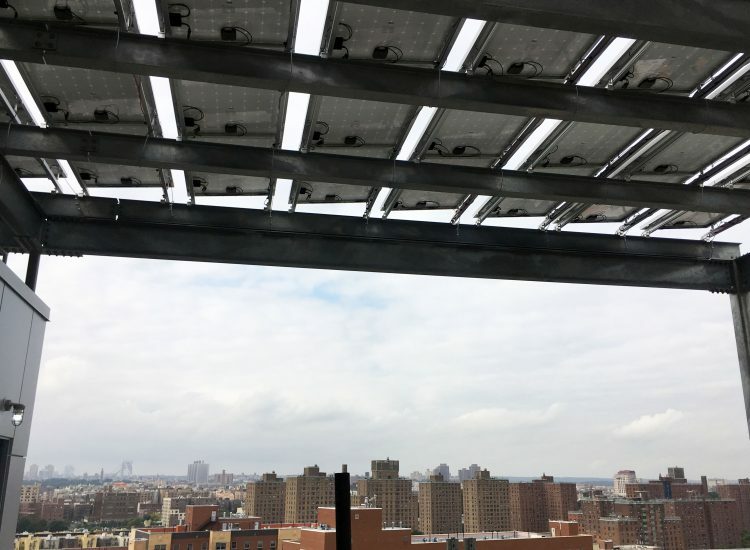 Bronx, NY | The Association of New York Catholic Homes goes well beyond simply building to code, bringing energy efficiency and quality housing to low-income residents of the Bronx with St. Augustine Family Housing. 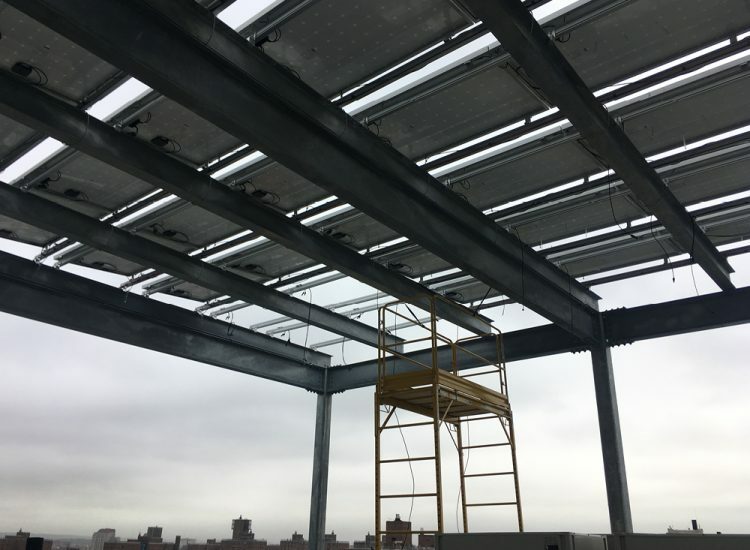 One of the more prominent high-performance features of the building is the Variable Refrigerant Flow (VRF) heating and cooling systems, reducing air infiltration and costs while increasing in-unit space. VRFs generate strong operational savings compared to traditional PTAC systems, providing the long-term impact that often outweighs their initial costs. 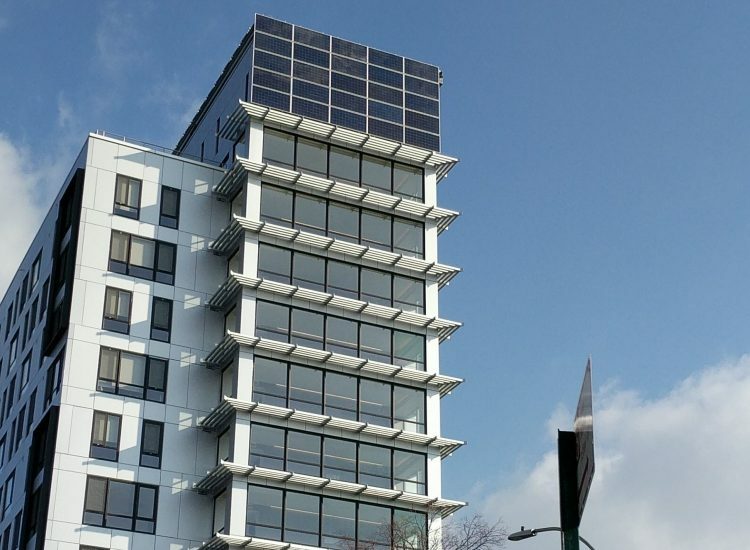 This affordable and supportive housing building integrates an aesthetically pleasing 48.8 kW solar PV system into the design, which will help maintain low operating costs and achieve LEED Certification. 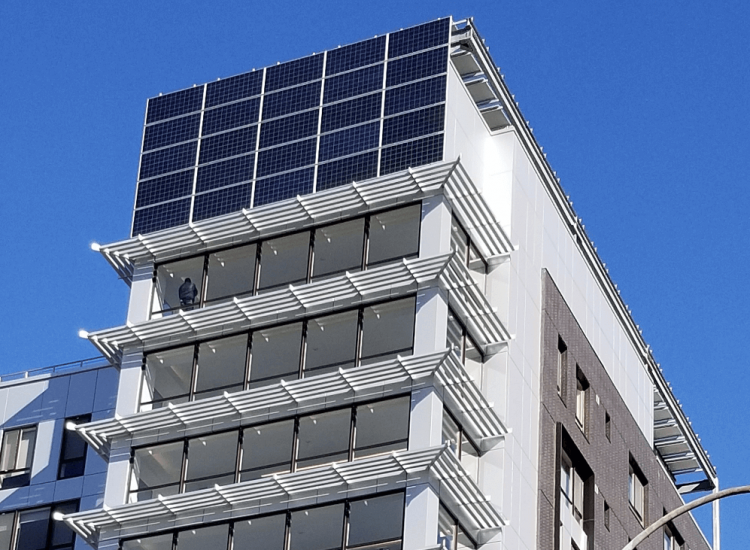 The solar energy system is arranged in two ways: one solar array is a pergola system on top of the roof, while the other is located on the building’s vertical façade. The entire system is projected to offset 55,555 kWh in the first year of operation.